If you’re tired of dealing with a chipped, cracked, broken, decayed, or missing tooth, then restorative dentistry can provide the solution you’ve been looking for. Using only the strongest and most natural-looking materials, Dr. Sheryl Tandon can rebuild even the most damaged teeth to make them look like nothing ever happened. Whether you have a single tooth or a few teeth that need a little help, she’s ready and able to provide it at a level you just won’t find anywhere else. To schedule a restorative appointment, contact us today. 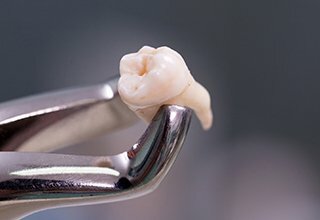 A dental crown is a tooth-shaped “cap” that is actually placed on top of a natural tooth, and with it, we can restore a compromised tooth’s original size, strength, and appearance all at the same time. They often allow us to save weakened teeth from being extracted, and they can also provide a tremendous cosmetic improvement. With just two easy visits to our office, we can practically make a tooth look like new again. Dental crowns can also be attached to additional prosthetic teeth to close the gap left by missing ones. Two crowns are placed on the teeth surrounding the space in a patient’s smile, and these are bonded to additional replacement teeth to fill it. 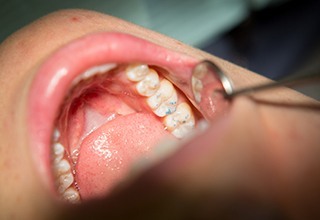 This not only restores a patient’s complete smile, but it also helps even out the bite and prevents the remaining teeth from shifting out of place. Another option today to replace missing teeth is dental implants. 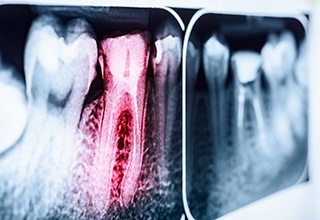 Rather than silver or amalgam, tooth-colored fillings are made of a composite resin, and this gives them numerous advantages over traditional fillings. 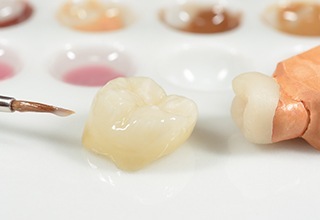 First, as the name indicates, the resin can be specially shaded to match a patient’s tooth color, making it practically invisible in the mouth. Plus, it also allows our team to repair a tooth using smaller fillings, better preserving its natural strength and structure, which will make the tooth less likely to crack over time. If you find yourself consistently forced to eat bland, easy-to-chew foods because of your missing teeth, then dentures can help you finally look forward to mealtime again. A partial denture can replace numerous missing teeth while fitting in seamlessly with the remaining ones (like the missing piece of a puzzle), while full dentures can instantly restore an entire row of teeth. 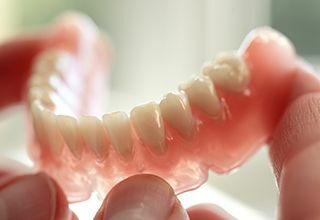 Our dentures are always custom-made, so no matter what you need, we can design a prosthetic that will help you regain your ability to eat your favorite foods. Every tooth actually has a small amount of soft tissue inside it called the dental pulp, and sometimes, whether due to decay or injury, this pulp can become infected or damaged. This can cause quite a bit of pain as the pulp is where each tooth’s sensitive nerve is located. Fortunately, a root canal is a reliable, and yes, relatively painless way to provide complete relief. Dr. Tandon will simply remove the tissue, clean the tooth, fill it with a packing material, and then fully restore it with a dental crown.